Gameloft has published Modern Combat 5: Blackout to Google Play this afternoon, throwing players straight into the middle of warfare. Like console FPS titles, MC5: Blackout features a great campaign mode, as well as the ability to take your skills online with a multiplayer mode. In campaign, you play as a hero who must save the world from cyber terrorists, using advanced weapons and technology to overcome countless bad guys with machine guns. In multiplayer, you choose between four customizable classes, picking off players with sniper rifles, assault rifles, SMGs, and more. If you play Call of Duty or Battlefield, you will feel right at home. If you are lucky enough to own an NVIDIA SHIELD, I highly recommend trying the game out on that. Controls are smooth, and gameplay is fierce. 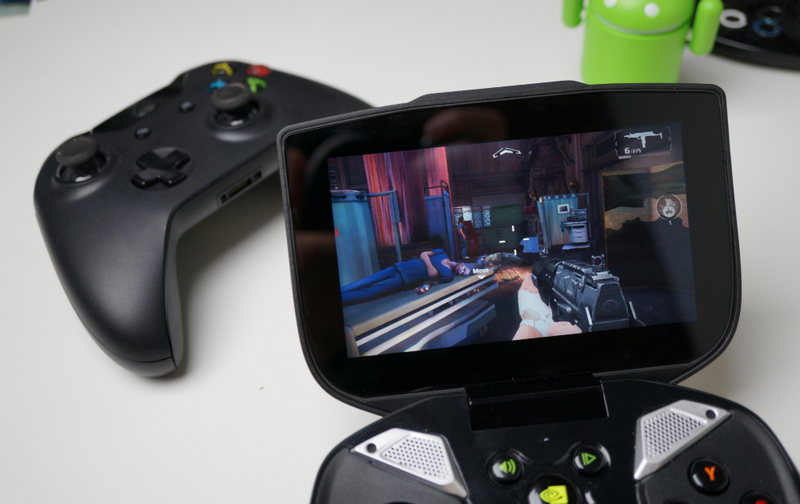 If all you have is a touchscreen, no worries, as the game was designed for on-screen controls. You shouldn’t have any issues playing whatsoever. Modern Combat 5: Blackout is priced at $6.99, but features no IAPs. Woot woot. After playing for about 10 minutes on SHIELD, I can tell that Gameloft have taken their time on this one, as the graphics are crisp, gameplay is relentless, and the campaign story actually makes sense while playing. Definitely go grab this title if FPS games are your calling.